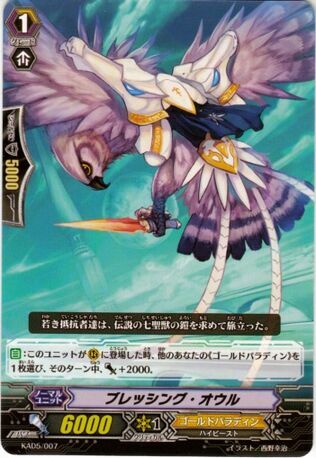 - A deck that's included with the May issue of KeroKero Ace. 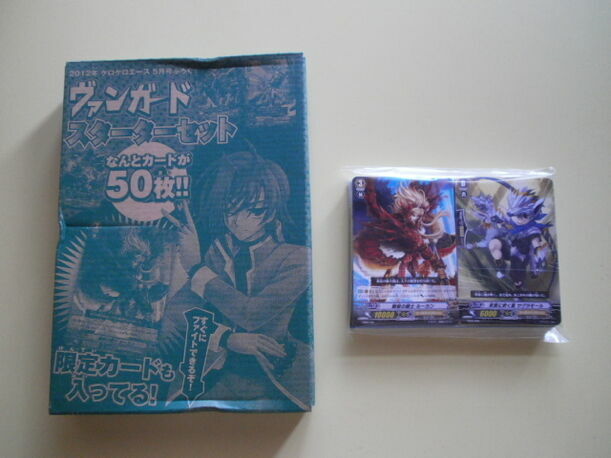 - 50-card deck containing primary Gold Paladin units with a mix of vanilla Narukami units. 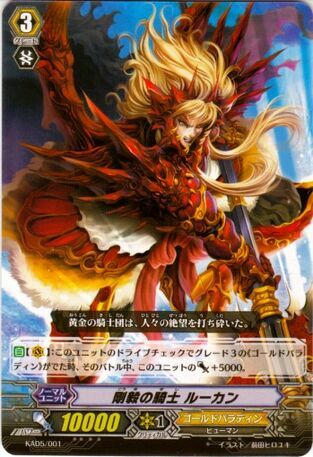 - Contains a grade 3 Gold Paladin unit exclusive to this set: [Knight of Fortitude, Lewcan]. 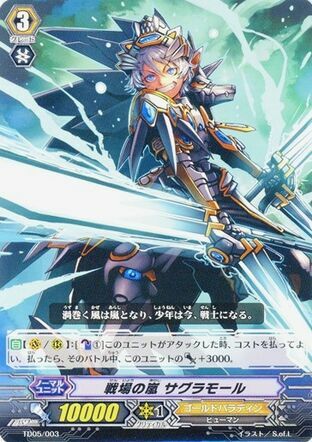 "A heavy knight that swings around his heavy axe with ease. 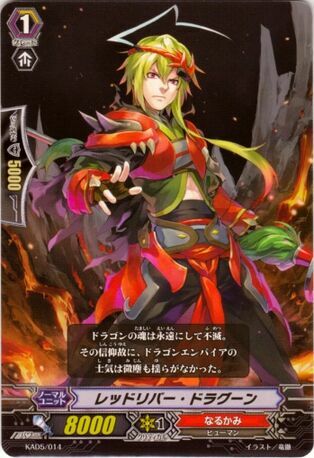 Due to his battle loving character he was given the name [Demon] and people kept a distance from him. 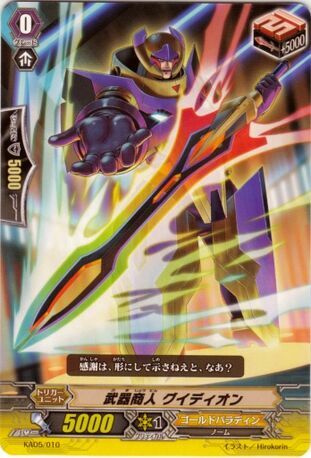 He was from the Shadow Paladin during the previous war but he left after hearing the declaration of Majesty Lord Blaster. 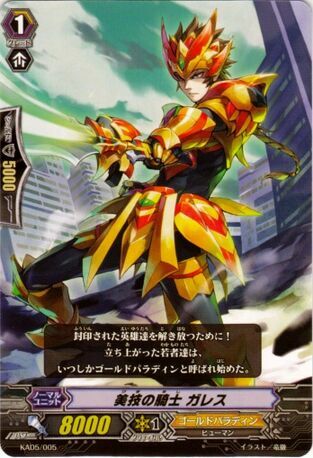 He was one of the few knights that joined the Golden Paladin that was formed to save the Royal Paladins that were sealed. 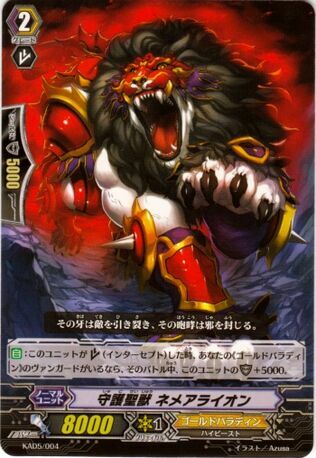 Right now he's one of the symbol of the paladins the Sacred beast kings, putting on the red lion armor he once again join the battlefield. 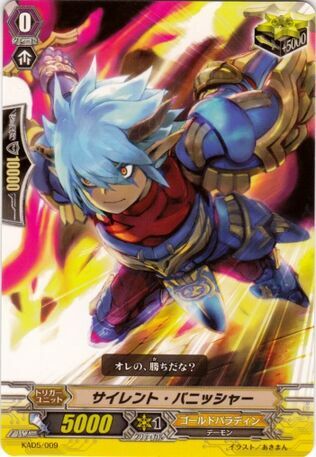 The demon that didn't care about anything other than battles is now swinging his weapons and fighting in order to save his first friends and comrades. 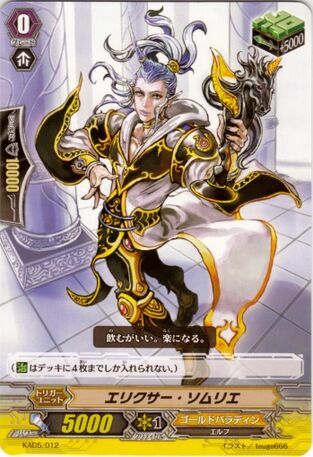 To break the seal the golden paladins have to find the 7 Sacred beast armor." 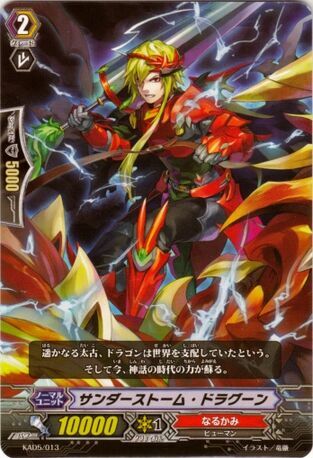 Auto [V]: When this unit's drive check reveals a grade 3《Gold Paladin》, this unit gets [Power] +5000 until end of that battle. 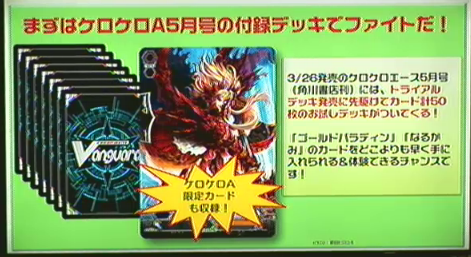 Auto [V/R]: [Counter Blast (1)] When this unit attacks, you may the cost. 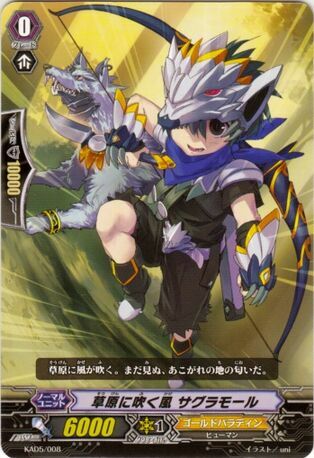 If you do, this unit gets [Power] +3000 until the end of that battle. 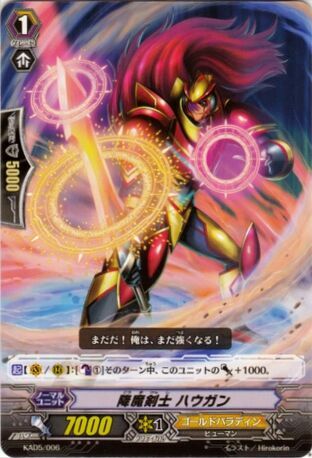 Auto: When this unit intercepts, if you have a《Gold Paladin》vanguard, this unit's shield gets +5000 until the end of the battle. 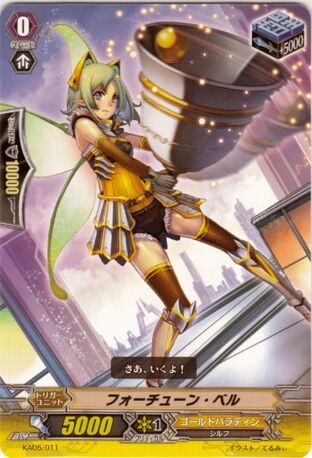 Activate [V/R]: [Counter Blast (1)] This unit gets +1000 power until the end of the turn. 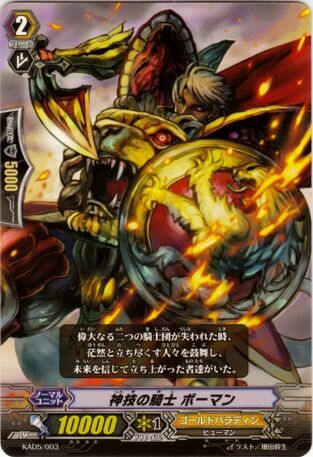 Auto: When this unit is placed on [R], choose another of your《Gold Paladin》, and that unit gets [Power] +2000 until end of turn.